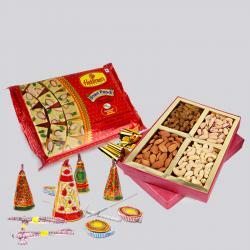 Product Consist : Box of Kaju Katli Sweet (Weight : 500 gms) and Box of Assorted Dryfruits (Weight : 500 Gms) along with Red Fire crackers (Worth Rs. 200/-). Celebrate this holy occasion with brightest moments which you have bring for your friends and family this year. Diwali is just round the corner and festive preparations are in full swing. This year delight your loved ones with fantastic gifts that will blow their mind. This is a lovely gift combo that includes a Half Kg mouth watering Kaju Burfi and a Half Kg Crunchy Dry Nuts with Diwali Crackers. Kaju katli is the most famous sweet consumed as a cashew delicacy in India. It has a distinct diamond shape. 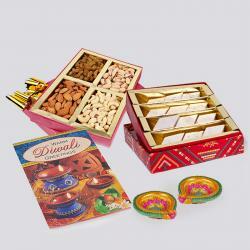 This year, celebrate Diwali by treating your family and friends to nutritive dry fruits Treat. 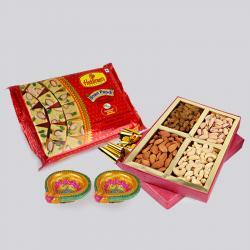 This is an amazing combo comprising with 500 Gms Box of assorted dry fruits like cashew nuts, almonds. 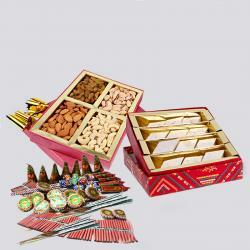 If you are looking for a Red Fire crackers then this is the right choice of Hamper gift option for you. This wonderful hamper is all set to touch hearts of your loved ones with warmth of your love. So book your order now. 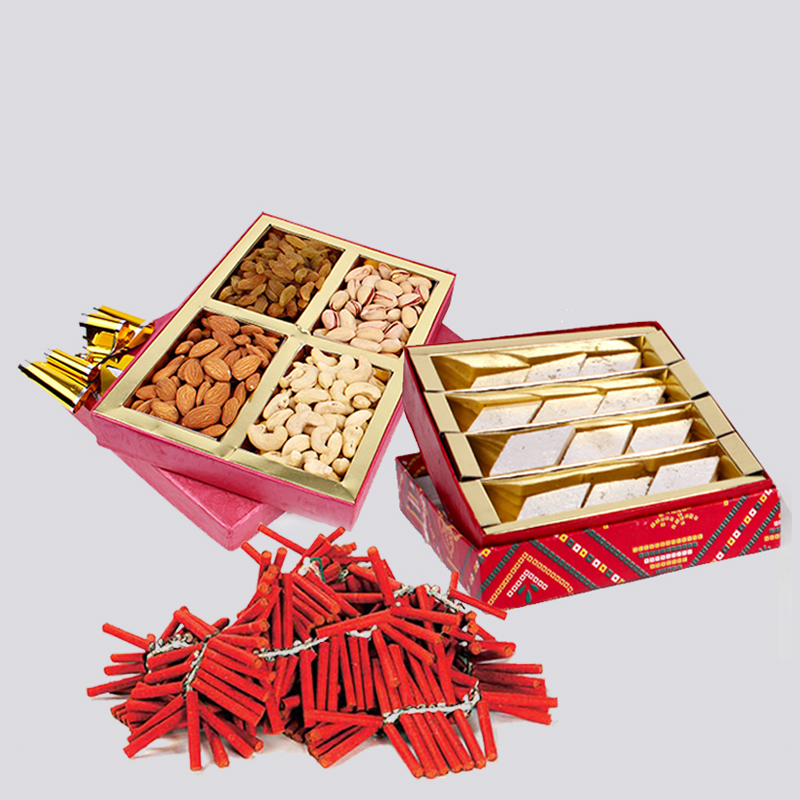 Product details: Box of Kaju Katli Sweet (Weight : 500 gms), Box of Assorted Dryfruits (Weight : 500 Gms) along with Red Fire crackers (Worth Rs. 200/-).